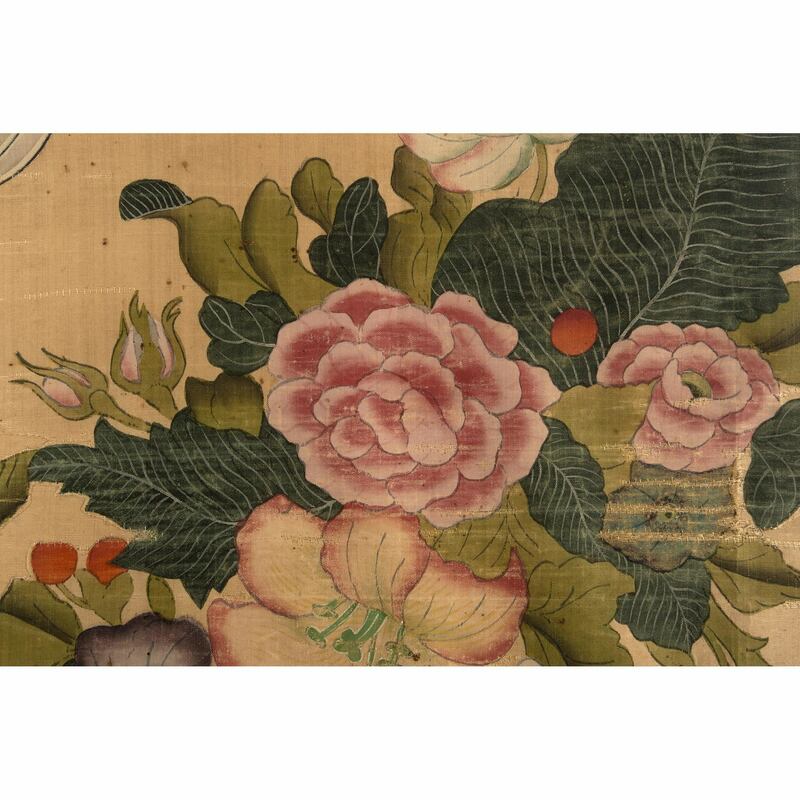 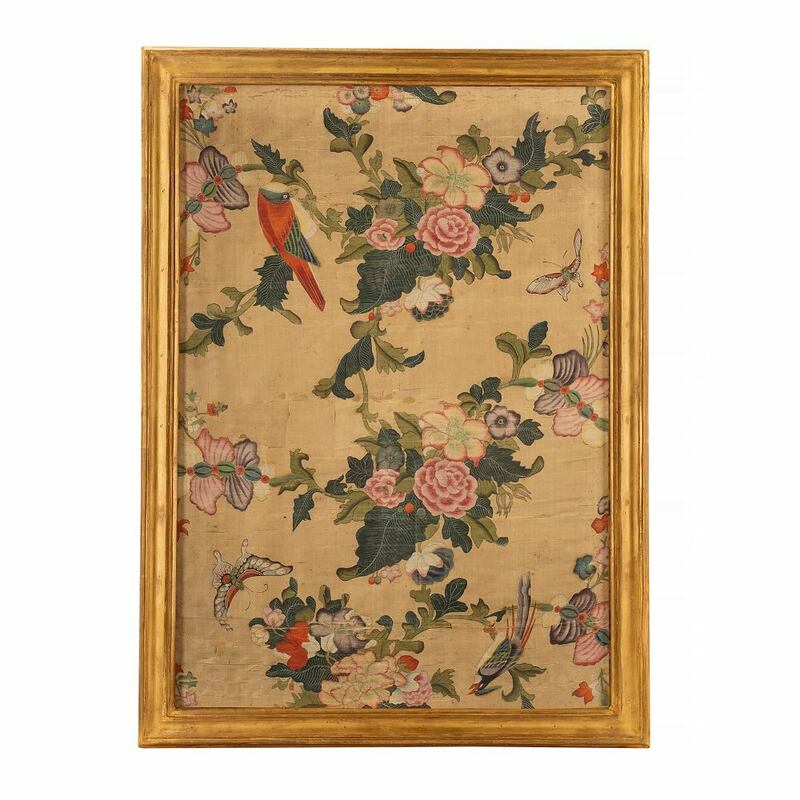 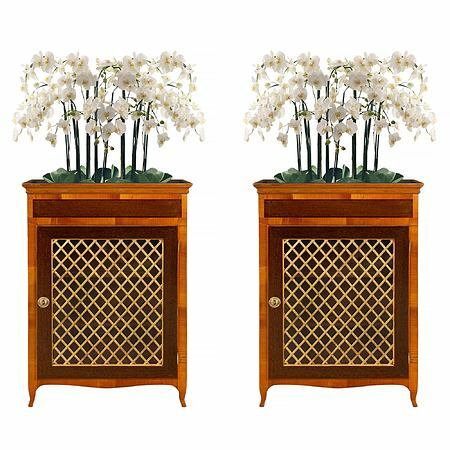 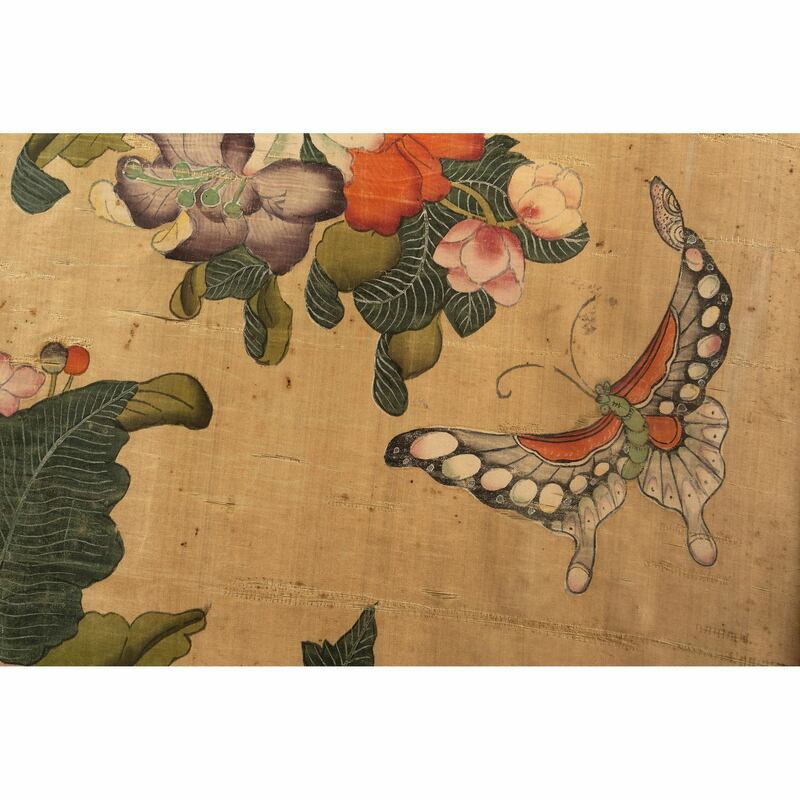 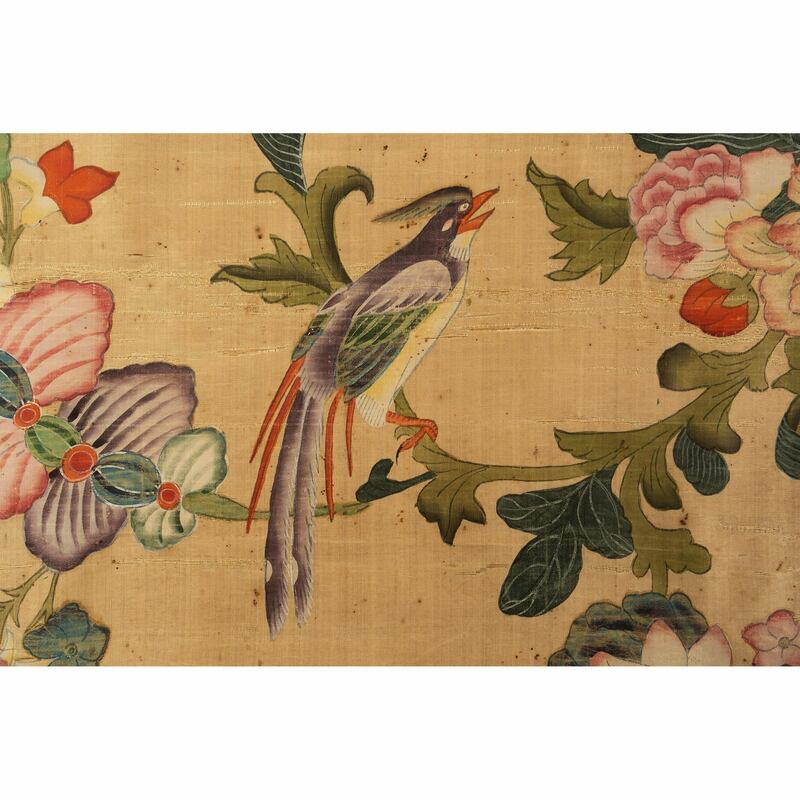 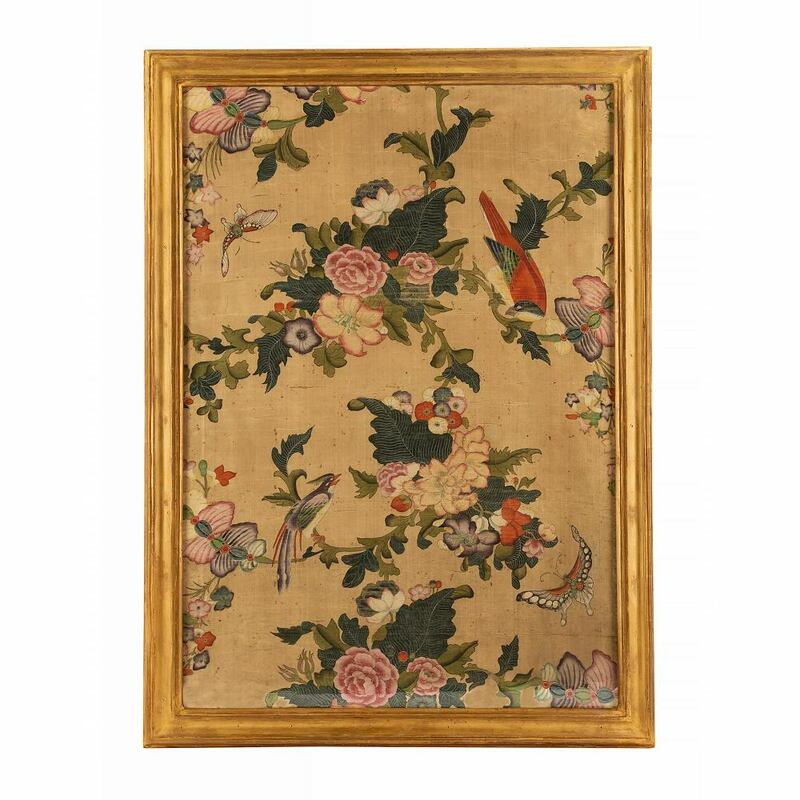 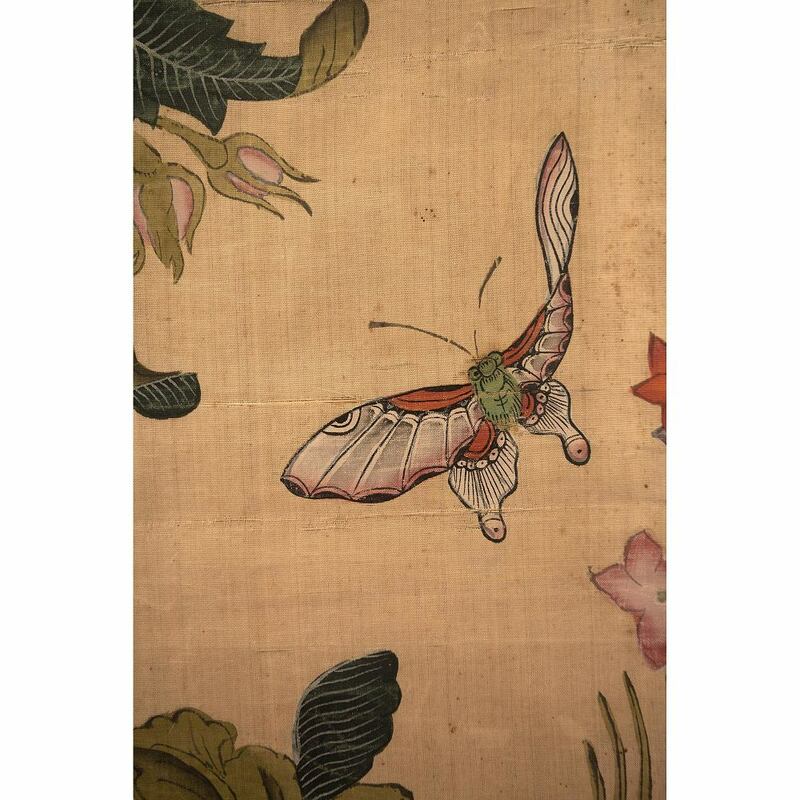 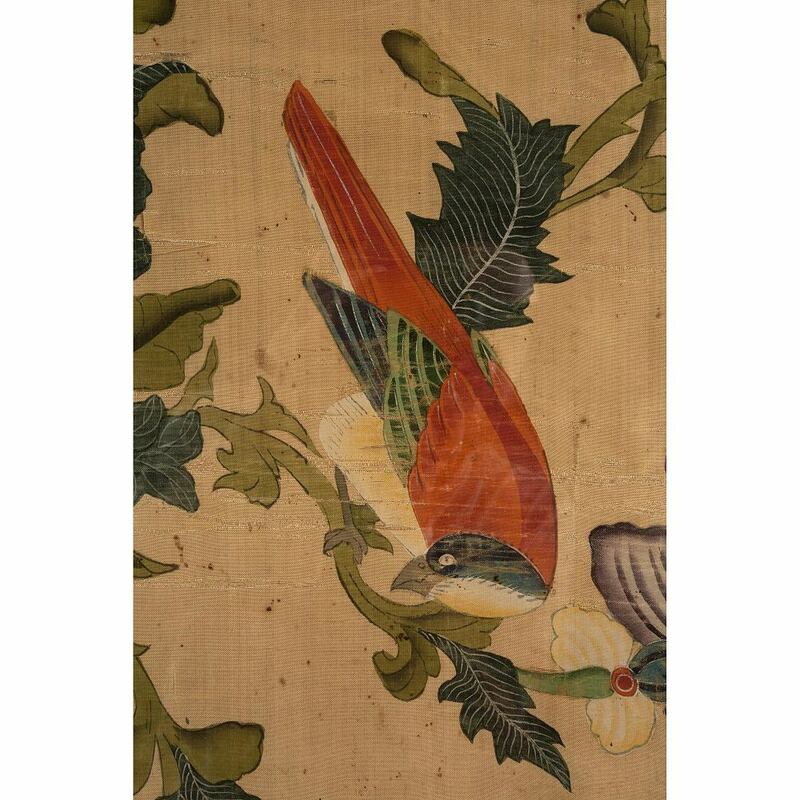 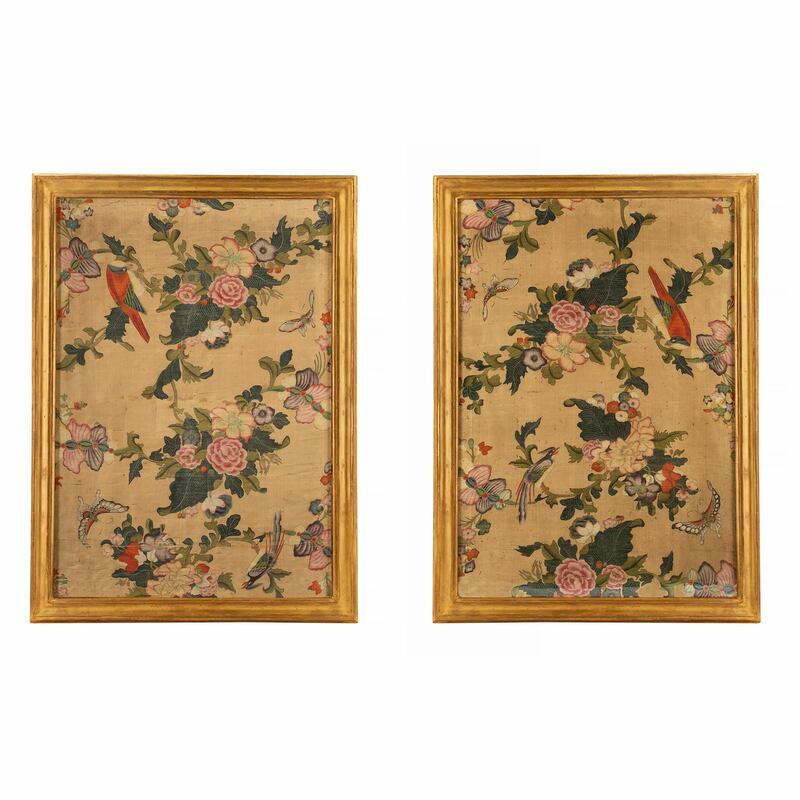 A fine and most elegant pair of 18th century panels of hand painted Asian silk of colorful branches filled with exotic flowers amidst birds and butterflies. 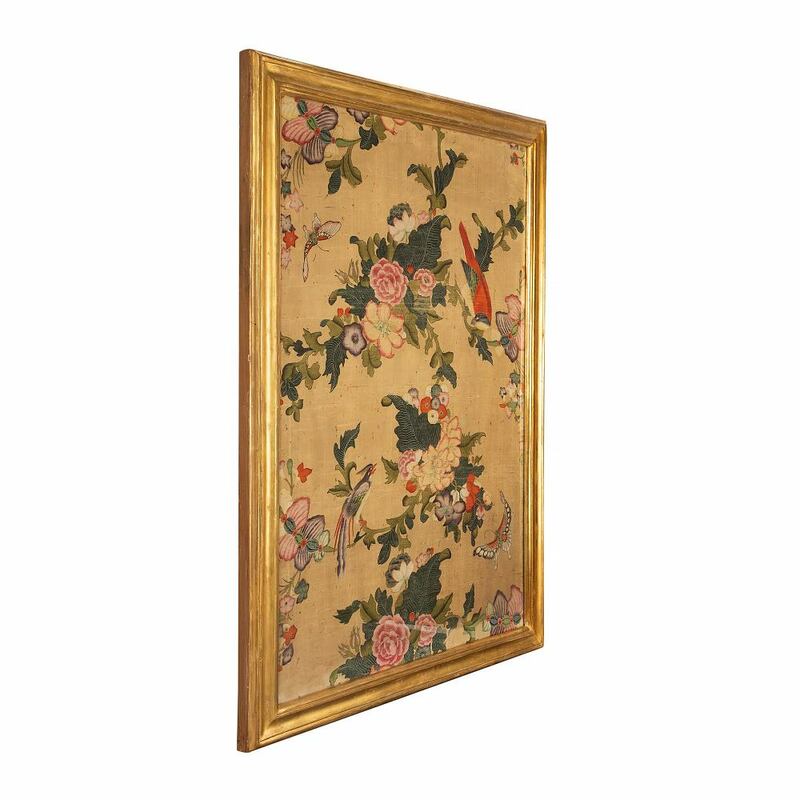 The panels are framed within Italian 18th century rectangular mottled frames from the Piedmont region. 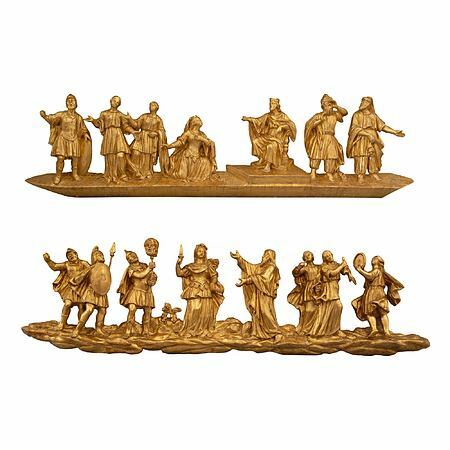 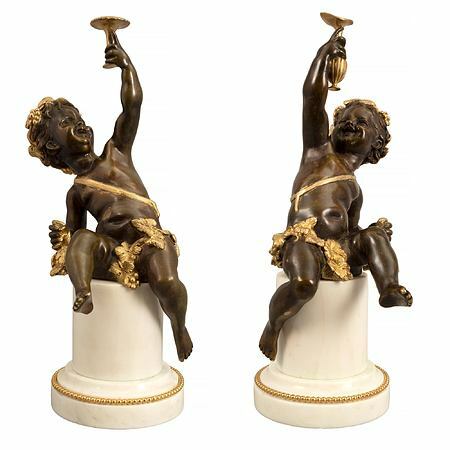 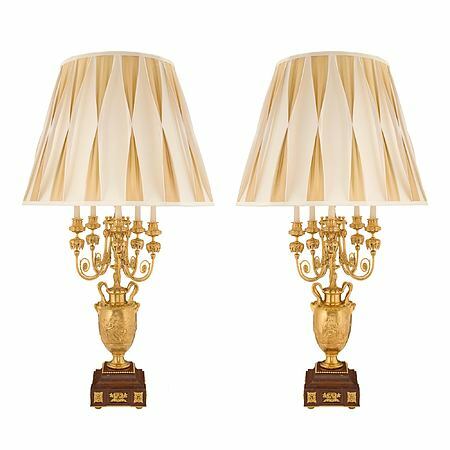 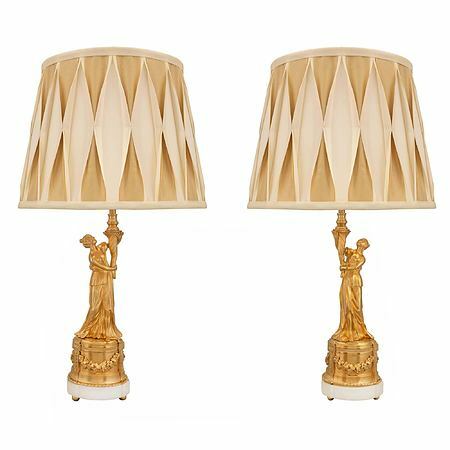 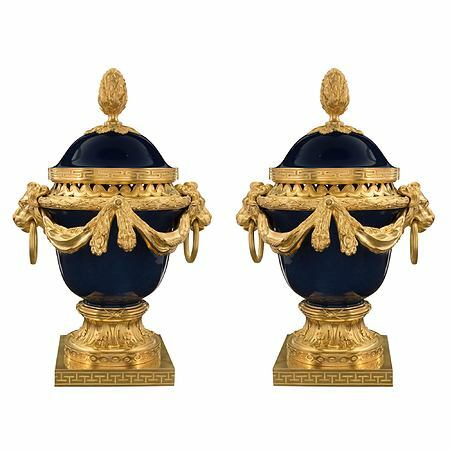 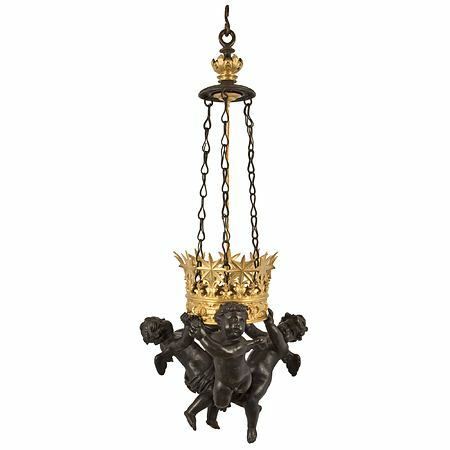 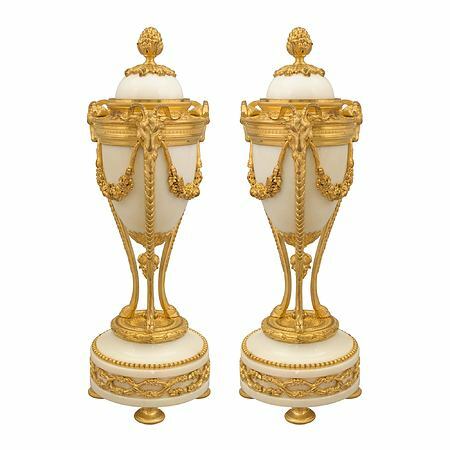 Extremely decorative with wonderful proportions.